If you are a smoker, quitting is the most important step in improving your health and protecting your lungs. The good news, it is NEVER too late to quit. There is no one way to quit that works for everyone. A smoking cessation program may help you quit smoking. 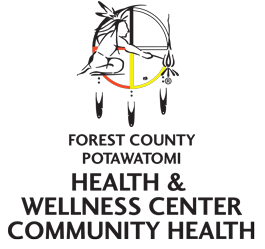 The Forest County Potawatomi Community Health and Pharmacy department can help you decide which smoking cessation method will work best for you! Before you quit “cold turkey”, decide what reasons you want to quit. Have you tried quitting and you started smoking after two weeks? 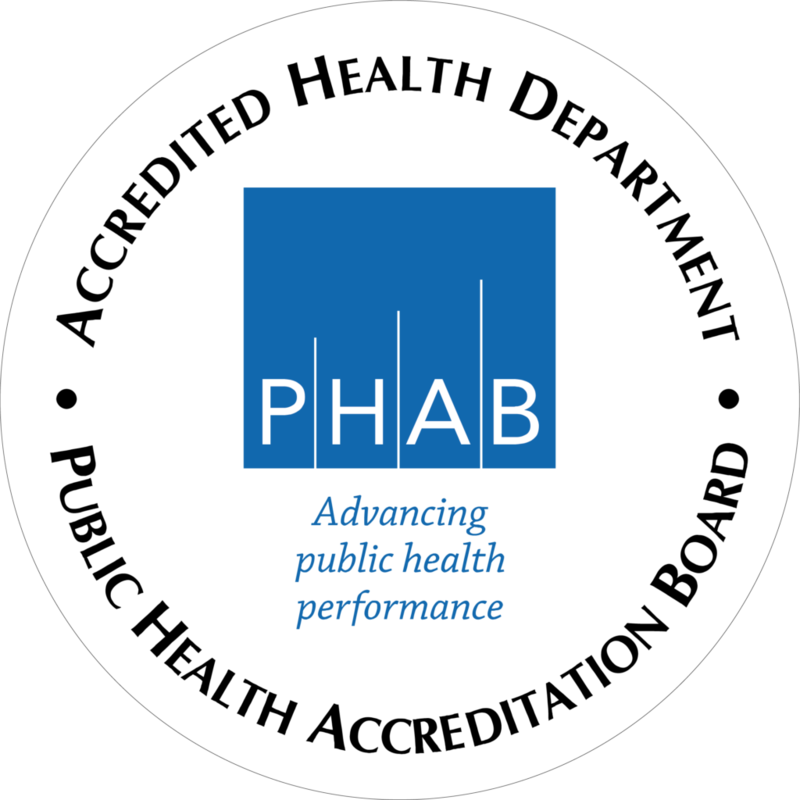 Seek help from the Community Health Department to create a quit plan and set some goals, while the Pharmacy may provide you with nicotine gum, patches, or other medication. 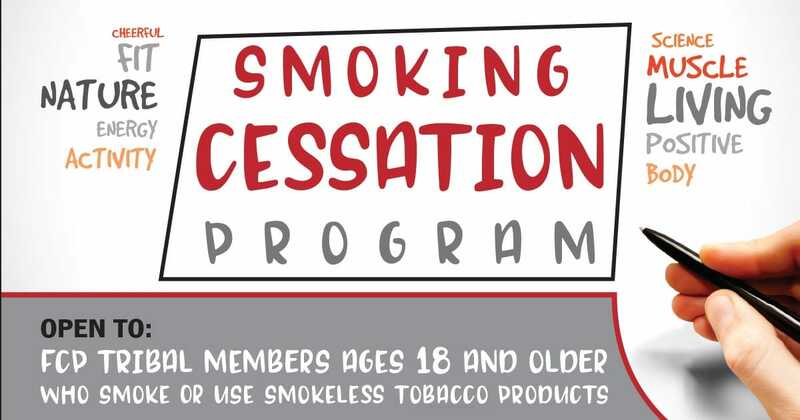 This Smoking Cessation Program is open to FCP Tribal Members 18 and older who smoke or use smokeless tobacco products. Please contact Community Health Department at 715-478-4355 or Pharmacy at 715-478-4347 to learn more about this program. Feel free to stop by either department to ask questions. 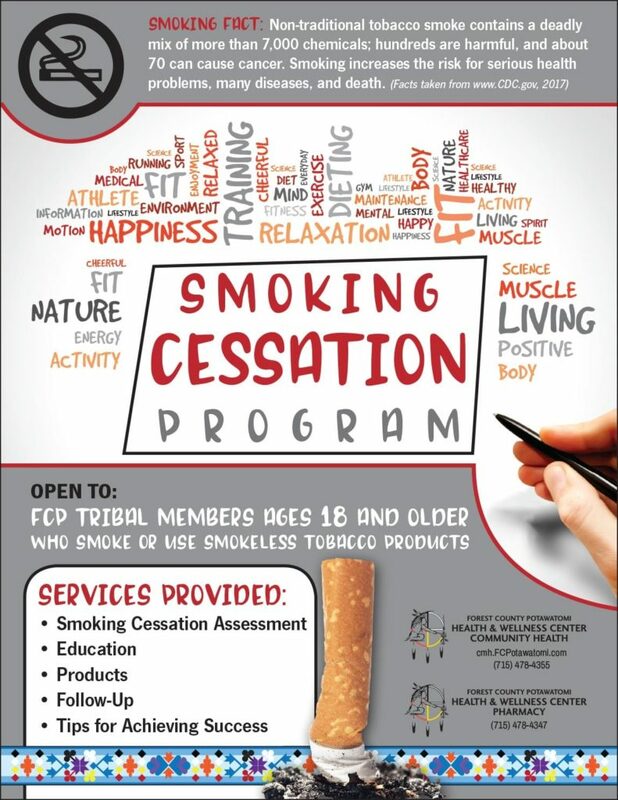 2019 is the year to quit smoking with the help of the Smoking Cessation Program!